Milan: Shaven-headed skipper Mauro Icardi rescued a 1-1 draw for Inter Milan at Bologna on Tuesday that ended his side's perfect start to the Serie A season. Luciano Spalletti had been looking to make it five wins from five but had to settle for just one point in Bologna. Simone Verdi's superb long range first-half goal was just the second conceded by Inter before Icardi— with a new distinctive shaved-head look — stepped up to convert a contentious spot kick with 13 minutes to go at the Stadio Dall'Ara. "We had to take advantage of the last quarter of an hour," said Icardi after his sixth goal this season. "We could have done something more, but we were not able to finish." "Now against Genoa (on Sunday) we have to go back and win at home. With our fans we have an extra player. We have to go back to continue the positive streak." Inter have emerged as one of the title challengers to rival Juventus and Napoli who also had maximum points after four matches. Now with 13 points, Inter move provisionally top but Juventus and Napoli can pull ahead when they play Fiorentina and Lazio respectively on Wednesday. 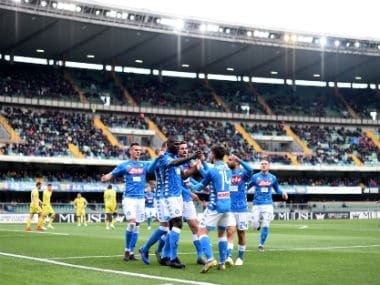 A win by Lazio — sitting fourth — would however put the Romans equal on points with Inter. "There are two lost points, we will see what went wrong this week," said Inter striker Eder. 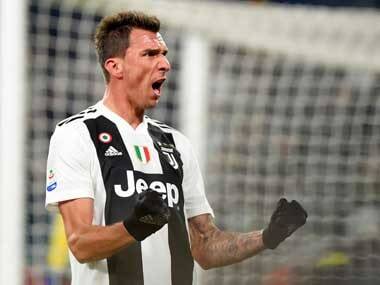 "We have to look at ourselves not Napoli and Juventus, our goal is the Champions League and we have to fight at all costs." Spalletti had made just one change to the side that beat Crotone on Saturday with Japanese defender Yuto Nagatomo in for Brazilian Dalbert. But Inter suffered in the first half with Icardi just failing to get on the end of an Ivan Perisic cross before Verdi got on the scoresheet after 32 minutes after half a dozen early shots at goal. 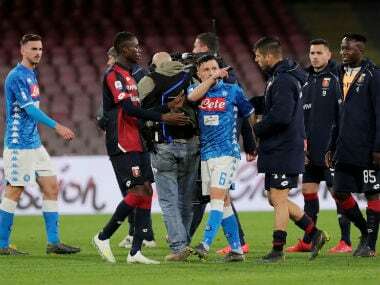 Inter gained momentum after the break but failed to find a way through until the controversial foul by Ibrahima Mbaye on Eder which was confirmed by the video assistant referee. Eder won the spot-kick, as he was running away from goal when Mbaye tripped and accidentally landed with his arm on the forward's heel. "He scored tonight, so we'll shave his head every day now," joked Spalletti of Icardi who had failed to find the net against Crotone. "It's not a scandal for a team to draw," added the Inter boss. 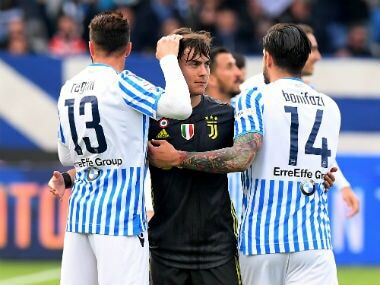 "We were slower than usual, unable to make the ball move well in vertical lines, especially in midfield, so we gave Bologna the chance to close down our channels." 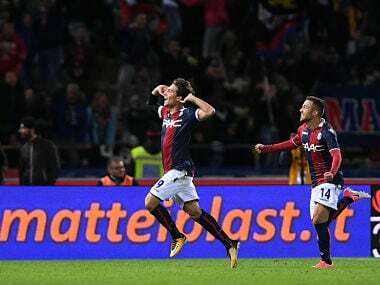 Bologna move up two spots to 11th as they bounced back from the weekend defeat at Fiorentina. "We deserved something more, on the pitch we showed it," said Verdi. "There are still many doubts about that penalty."